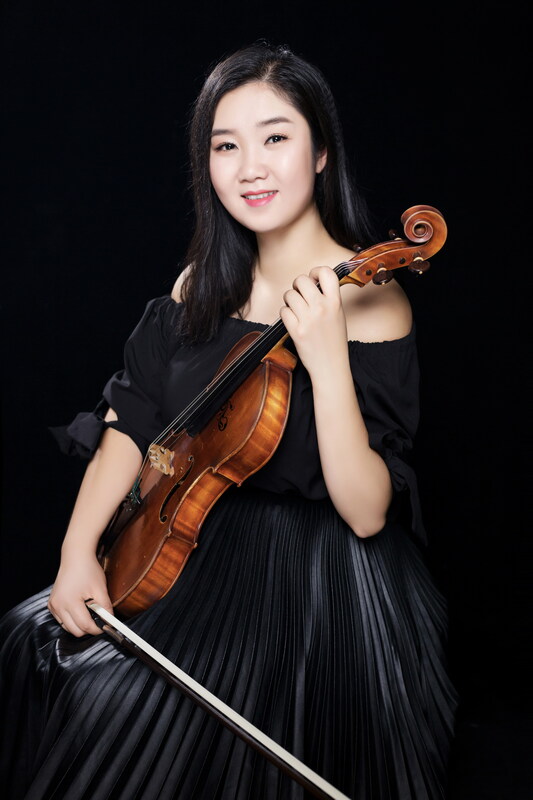 Winner of many competitions, Ms. Jin won the first prize of the Washington International Competition, and the second prize of the Irving Klein International Strings Competition. She is also the prize winner of the Primrose International Viola Competition, and the Corpus Christi International Strings Competition. Ms. Jin has played and taught in many venues and music festivals, including the Angel's fire, Aspen Music Festival, Bravo Vail music festival, Carnegie Hall, Kennedy Center, Marlboro Music Festival, Music@Menlo, and the 92nd street Y, Philadelphia Chamber Music Society, Morningside Music Bridge International Music Festival, Encore Chamber Music. Ms. Jin was invited to play on tour with musicians from Marlboro. She had her Washington debut presented by The Phillips Collection in 2006, and regularly performs recitals in China and the United States. Ms. Jin has collaborated with James Conlon, Kim Kashkashian, Noah Bendix-Bagley, Jinjoo Cho, members of Guarneri Quartet, Julliard Quartet, Kalichstein-Laredo-Robinson Trio, Mendelssohn Quartet, Orion Quartet, Cavani Quartet, and Cleveland Orchestra. She was also a guest principal viola of the Cincinnati Orchestra. As a teacher, she was invited to give master classes in the event of the Ohio Viola society, Oberlin Conservatory, Cleveland Institute of Music, Toronto University, Beijing Central Conservatory of Music, and many music festivals throughout the United States and Mexico. With passion of playing contemporary repertoires, Ms.Jin has played many world-premiered music of highly praised composers, including Joan Tower's String Quartet No.4 “Angels”, Septet by Ellen Zwilich for Piano Trio and String Quartet; Nonnet by Roberto Sierra for String Quartet and Woodwinds Quintet; and the Viola Concerto "Laments and Exultations" by Frank Wiley. Ms.Jin also commissioned and played music for a Trio of Pipa, Viola and Piano. Ms.Jin joined the Miami String Quartet and taught at the Kent State University at the age of 24. She was also the visiting artist of the Hartt School of Music. She joined the Indianapolis Symphony Orchestra in 2017. Ms.Jin studied viola with Wang Shaowu and Wing Ho at the Central Conservatory of Music, with Jeffrey Irvine and Lynne Ramsey at the Cleveland Institute of Music.